While New Yorkers were standing in line for tickets to the thrilling new “Macbeth” that has, according to the New York Times, transformed the Park Avenue Armory into a war zone, pro-Russian separatists wearing masks and armed with Kalashnikovs invaded Izolyatsia Foundation, an innovative arts center in Donetsk, Ukraine, and set up a makeshift armory. In a tale of betrayal and ambition that Shakespeare might have crafted, curator Olena Chervonik reported on the siege: “On the evening of June 8, we received a phone call from the so-called minister of social politics in the separatist government, who warned us that there would be a takeover the next day. As it turned out, he was actually the person who organized and supervised the takeover. 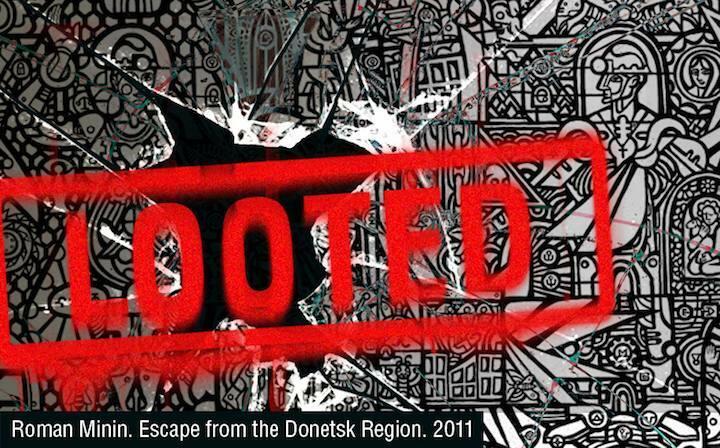 “Initially this minister of the self-proclaimed DPR allowed Izolyatsia’s art collection to be evacuated,” she continued. “We managed to save about one-third of our collection. The rest remained on site, if it is still there. We also have a lot of art works that were created in-situ, so we could not remove them. "The night of the takeover, his people knocked down all the doors of Izolyatsia’s offices and started stealing whatever they deemed valuable. Aware of the plundering, the foundation issued an open appeal to the DPR. The next day, Izolyatsia’s staff were informed that they would not be able to take anything else and more armed people moved onto the site. We don’t know exactly what they are storing there, but we know for a fact that they have started cutting up various metal structures to sell as scrap metal. Izolyatsia’s premises are being ruined." 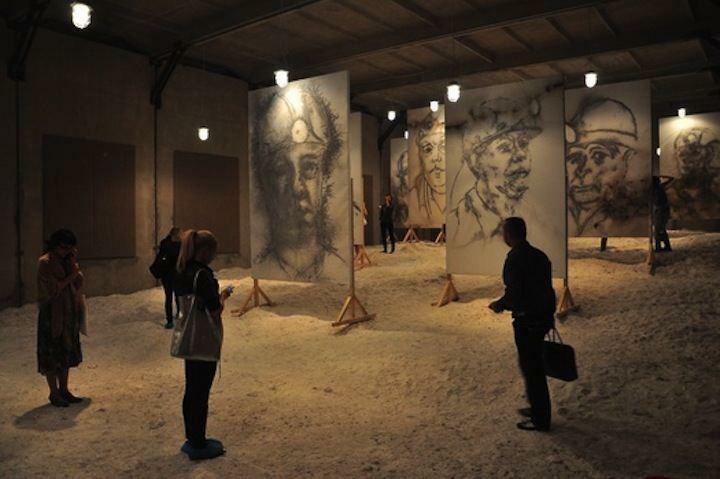 Cai Guo-Qiang: 1040m Underground features two site-specific installations, including a series of gunpowder drawings produced on the IZOLYATSIA campus in 2011. Izolyatsia has hosted internationally acclaimed artists such as Cai Cuo-Qiang, who created two site-specific installations at the cultural center in 2011. Daniel Buren did several installations 2012. A commitment to the local community is at the forefront of Izolyatsia’s activities, “inviting participation and immersion into a resource sadly lacking in southeastern Ukraine,” according to the foundation’s mission statement. I first met Olena Chervonik at a Ukrainian restaurant in Manhattan’s East Village through a mutual friend who had told her about my work. When Chervonik invited me to exhibit photographs from my book, Transitory Gardens, Uprooted Lives along with prints by Ukrainian artist Pavlo Makov at Izolyatsia this summer, I looked forward to returning to the region where I had photographed industrial ruins in 2005, so that I could experience firsthand Izolyatsia’s aim “to provide a hub of cultural excellence delivering social, economic and ecological transformation to a post-industrial hinterland.” As of this week, I am hoping to travel to Kiev in late July.